planet manners: USA: 1/29 10:38 AM message - Get to an airport to protest! USA: 1/29 10:38 AM message - Get to an airport to protest! Subject: Get to an airport! It's happening here. It's happening now. We must #Resist now. This is what #Resistance looks like. 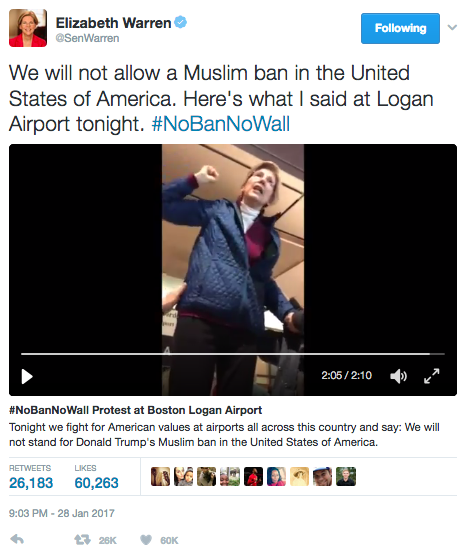 TODAY: Please go to your airport or other local protest against Trump's un-American Muslim Ban. Looking at tragic moments in history, one could ask, "What would I have done if I were there?" 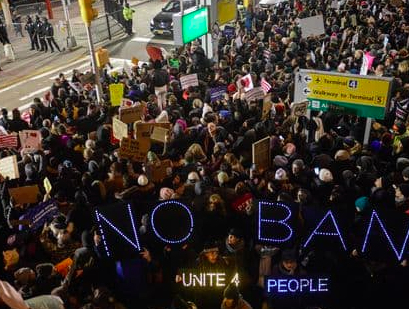 Last night, Americans spontaneously showed up at international airports in solidarity with immigrants being detained by Trump's new Muslim ban. 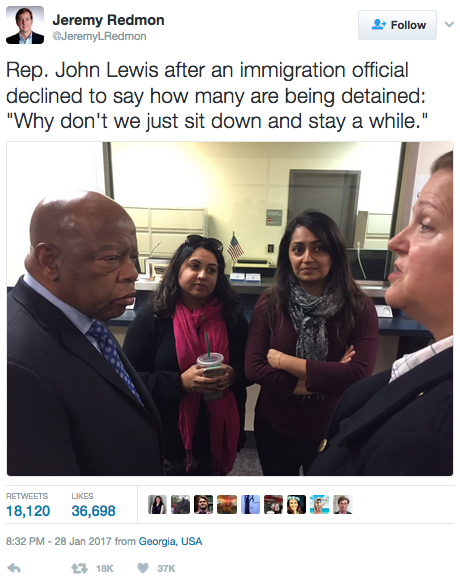 Heroes like Sen. Elizabeth Warren (MA), Rep. Pramila Jayapal (WA), and Rep. John Lewis (GA) attended in solidarity. These protests are making national and international news -- and making history. Today, will you show up at spontaneous protests near you striking back against Trump's Muslim ban? No -- I can't today. But I'll donate $4 to the ACLU's legal challenge to the Muslim ban and PCCC's work in the #Resistance. In Trump's first week, he attacked Muslims, issued a Holocaust remembrance statement not mentioning Jews, put a gag order on women's health issues, attacked immigrants and refugees, and gave white supremacist Steve Bannon a larger role on a key national security committee than the Joint Chiefs of Staff. All of this on top of turning our economy over to billionaires and bankers. Turning the EPA over to climate deniers and censoring scientific facts. And attack after attack on working families. This is a tough time. But we have seen Trump backtrack in the face of #Resistance. We all must stand in solidarity and resist the Muslim ban. Check out the events today. If you can't attend, donate to help the ACLU fight it in court and our work in the #Resistance. 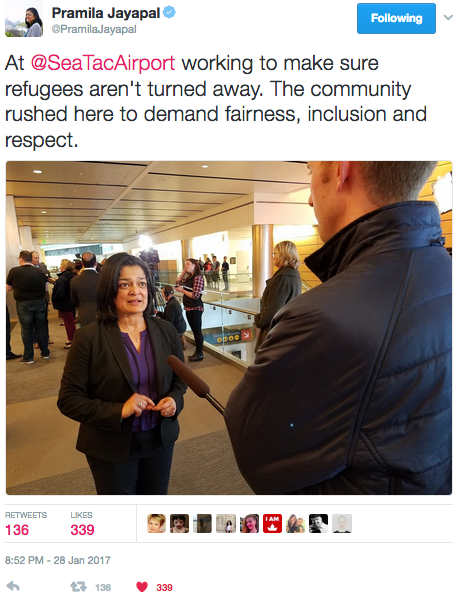 You can also show solidarity by printing a "Refugees and immigrants welcome here" sign and putting it in your window.